These cables can contain any form of core specification which is sheathed with a polyurethane plastic. If you require the polyurethane sheathing on any specification core then please contact us for further details (quotes, material specifics). 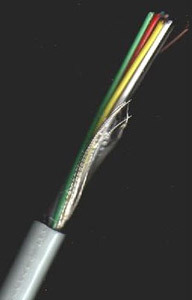 Below is an example of a polyurethane cable made for for a customers requiremnent.